In the United States, the most widely recognized and accepted standard of value is fair market value. It is the standard that applies to most federal and state tax matters, such as estate taxes, gift taxes, inheritance taxes, income taxes, and ad valorem taxes. It is also the legal standard of value in many other although not all-valuation appraisal situations. The American Society of Appraisers (ASA) states that a fair market value appraisal of a business is “the amount at which property would change hands between a willing seller and a willing buyer when neither is acting under compulsion and when both have reasonable knowledge of the relevant facts.”2 This is essentially the same definition as in Revenue Ruling 59-60. There is general agreement that the definition implies that the par­ties have the ability as well as the willingness to buy or to sell. The “market” in this definition can be thought of as all the potential buyers and sellers of like businesses or professional practices. In the legal interpretations of fair market value appraisal, the willing buyer and willing seller are hypothetical persons, dealing at arm’s length, rather than any particular buyer or seller. In other words, a price would not be considered representative of a fair market value appraisal of a business if it is influenced by special motivations not characteristic of a typical buyer or seller. That is not to say, however, that the concept of fair market value appraisal precludes identifying groups of willing participants. Quite the contrary, the valuer should be able to identify categories of willing purchasers. Furthermore, the analyst cannot ignore the seller. However, the seller must be willing to sell under conditions that exist as of the valuation date. The concept of Fair Market Value Appraisal of a Business assumes prevalent economic and market conditions at the date of the particular valuation appraisal. You have probably heard it said many times, “I couldn’t get anywhere near the value of my house if I put it on the market today,” or “The value of XYZ Company stock is really much more (or less) than the price it’s selling for on the New York Stock Exchange today.” The standard of value that those people have in mind is some standard other than fair market value. This is because the concept of fair market value means the price at which a transaction could be expected to take place under conditions existing at the valuation appraisal date. 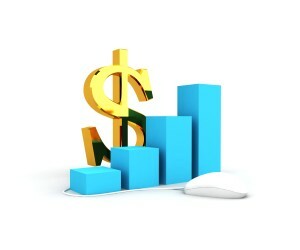 The term market value and cash value are sometimes used inter­ changeably with the term fair market value. Real estate appraisers gen­erally use the term market value rather than fair market value. 4. the price represents the normal consideration for the property sold unaffected by special or creative financing or sales concessions granted by anyone associated with the sale. 1. The willing buyer and the willing seller are hypothetical per­ sons, rather than specific individuals or entities, and the characteristics of these hypothetical persons are not necessarily the same as the personal characteristics of the actual seller or a particular buyer. 2. Fair market value appraisal is determined as of the valuation appraisal date, and no knowledge of unforeseeable future events which may have affected the value is given to the hypothetical persons. 3. Fair market value equals the highest and best use to which the property could be put on the valuation appraisal date, and fair market value takes into account special uses that are realistically available due to the property’s adaptability to a particular business. Fair market value is not affected by whether the owner has actually put the property to its highest and best use. The reasonable, realistic, and objective possible uses for the property in the near future control the valuation thereof Elements affecting the value that depend upon events or a combination of occurrences which, while within the realm of possibility, are not reasonably probable, are excluded from this consideration. As typically occurs in a case of valuation, the parties rely primarily on their experts’ testimony and report Expert testimony sometimes aids the Court in determining valuation. Other times, it does not. For example, expert testimony is not useful to the Court when the expert is merely an advocate for the position argued by the party. The total of all consideration passed at any time between the buyer and seller for an ownership interest in a business enterprise and may include, but is not limited to, all remuneration for tangible and intangible assets such as furniture, equipment, supplies, inventory, working capital, non competition agreements, employment and/or consultation agreements, licenses, customer lists, franchise fees, assumed liabilities, stock options, stock or stock redemption, real estate, leases, royalties, earn-outs and future consideration. Analysts performing business valuations that may be subject to litigation should seek the exact legal definition of fair market value in the relevant jurisdiction. However, this may not be as easy as it sounds. In some states, such as California, family law courts sometimes use the term fair market value and then invoke various restrictions on accept­ able valuation methods or other departures from the classic definition. It may require careful study of the case law to understand the fair market value in such contexts. He considers the appropriate rate of discounting, the effects of stock rights and assessments, risk premiums, the effect of the capital structure of the firm, and the marketability of the security. His treatment of these various subjects leads to the grand conclusion that the investment value of a stock is determined by discounting the “expected” stream of dividends at the discount rate appropriate for the individual investor. 1. Differences in estimates of future earning power. 2. Differences in perception of the degree of risk. 3. Differences in income tax status. 4. Synergies with other operations owned or controlled. In fact, investment value is sometimes called strategic value because it often incorporates elements of synergistic value inherent in combinations of related companies. Studies show that, on average, strategic buyers pay higher multiples of the acquirer’s earnings than do financial buyers. The discounted economic income method of the income approach is oriented toward developing an investment value if the returns used are those that would be expected by a particular owner or investor. Whether or not the value thus developed also represents fair market value depends on whether the projections used would be accepted by a consensus of market participants. If valuing a minority ownership interest, the returns used usually would be based on the projection of the current management remaining in place. If sound analysis leads to a valid conclusion that the investment value to a particular owner exceeded market value at a given time, the rational economic decision for that owner would be not to sell at that time that is, unless a particular buyer could be found to whom invest­ment value would be higher than the consensus of value among a broader group of typical buyers. Of course, the concept of investment value as described above is not completely divorced from the concept of fair market value appraisal of a business. This is be­ cause it is the actions of many specific investors, acting in the manner just described, that eventually lead to a balancing of supply and demand through the establishment of an equilibrium market price that represents the consensus value of the collective investors. Finally, the term investment value has a slightly different meaning when used in the context of dissenting stockholder suits. In this context, it means a value based on earning power, as described above. However, the appropriate present value discount rate or the direct capitalization rate is usually considered to be a consensus rate-rather than a rate peculiarly appropriate for any specific investor. Intrinsic value (sometimes called fundamental value) differs from the in­vestment value in that it represents an analytical judgment of value based on the perceived characteristics inherent in the investment, not tempered by characteristics peculiar to any one investor. Rather, this value is tempered by how these perceived characteristics are interpreted by one analyst versus another. A security’s intrinsic value is the price that is justified for it when the pri­mary factors of value are considered. In other words, it is the real worth of the debt or equity instrument as distinguished from the current market price. The financial manager estimates intrinsic value by carefully appraising the following fundamental factors that affect security values: Value of the Firm ‘s Assets. The physical assets held by the firm have some market value. They can be liquidated if need be to provide funds to repay debt and distribute to shareholders. In techniques of going concern valuation, asset values are usually omitted. Likely Future Interest and Dividends. For debt, the firm is commit­ted to pay future interest and repay principal. For preferred and com­mon stock, the firm makes attempts to declare and pay dividends. The likelihood of these payments affects the present value. Likely Future Earnings. The expected future earnings of the firm are generally viewed as the most important single factor affecting security value. Without a reasonable level of earnings, interest and dividend payments may be in jeopardy. Likely Future Growth Rate. A firm’s prospects for future growth are carefully evaluated by investors and creditors and are a factor influencing intrinsic value. The purpose of security analysis is to detect differences between the value of a security as determined by the market and a security’s “in­trinsic value” that is, the value that the security ought to have and will have when other investors have the same insight and knowledge as the analyst. If the market value is below what the analyst concludes is the intrinsic value, then the analyst considers the stock a “buy.” If the market value is above the assumed intrinsic value, the analyst suggests selling the stock. It is important to note that the concept of intrinsic value cannot be entirely disassociated from the concept of fair market value appraisal of a business. This is be­ cause the actions of buyers and sellers based on their specific percep­tions of intrinsic value eventually lead to the general consensus market value and the constant and dynamic changes in market value over time. Case law often refers to the term intrinsic value. However, almost universally, such references do not define the term other than by reference to the language in the context in which it appears. Such references to intrinsic value can be found both in cases where there is no statutory standard of value and in cases where the statutory standard of value is specified as fair value or even fair market value. When references to intrinsic value appear in the relevant case law, the analyst should heed the notions ascribed to that term as discussed in this section.